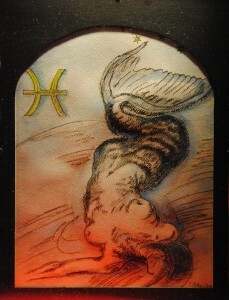 Pisces Zodiac Its name is the Latin plural for fish, and its symbol is . It lies between Aquarius to the west and Aries to the east. The ecliptic and the celestial equator intersect within this constellation and in Virgo.